ASTANA – The second Astana! Brighter Together! 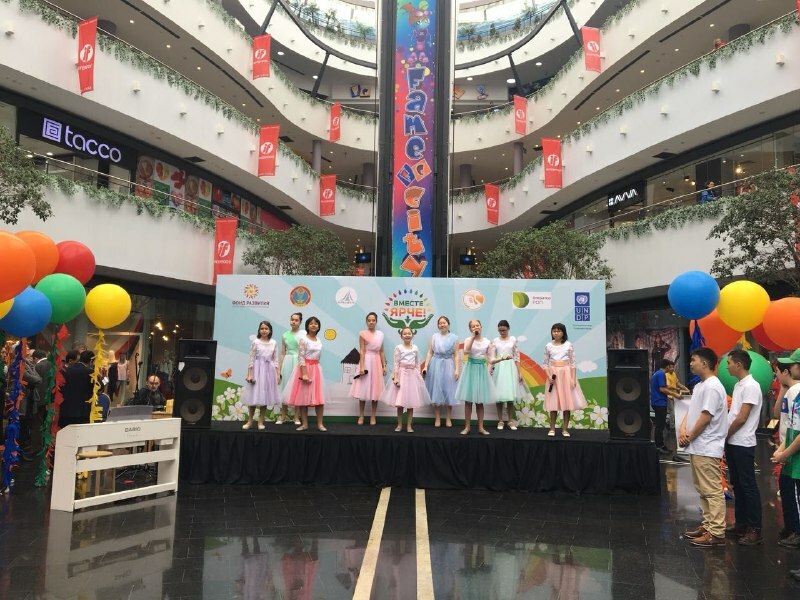 eco-festival gathered approximately 4,000 students from capital schools to promote an environmentally conscious lifestyle among the young generation, according to the press service of the Kazakh UNDP office. Photo credit: UNDP press service. “‘When you’ve finished washing and dressing each morning, you must tend to your planet,’ wrote Antoine de Saint-Exupery in his book ‘The Little Prince.’ We need to start with ourselves to save energy, recycle waste as well as be responsible and teach the young generation,” said Deputy Akim (Mayor) Yermek Amanshev during the March 30 event in the Khan Shatyr shopping centre. 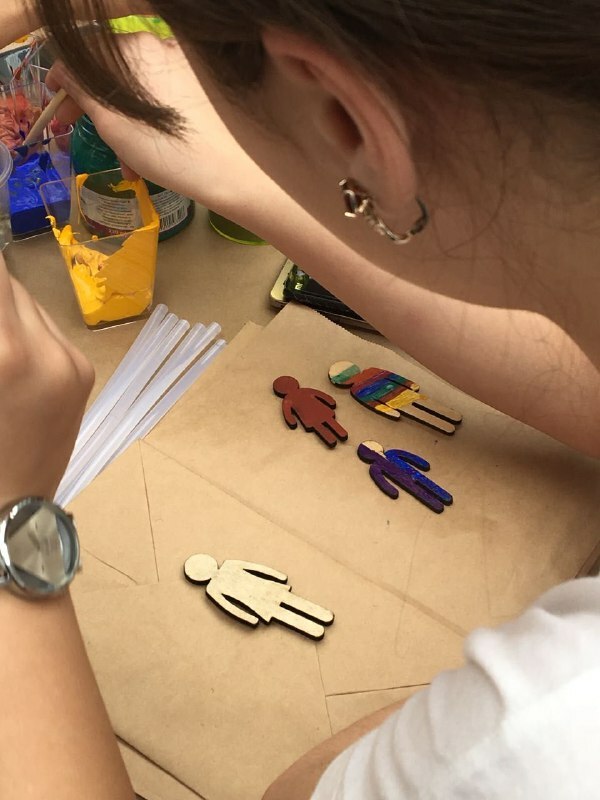 The festival, with a motto “I love my smart city,” offered 17 master classes and interactive quests oriented at audiences from five to 20 years old. The master classes gave first aid training and explained the importance of sustainable development and energy efficient equipment. Participants also learned about the concept of socially responsible business. 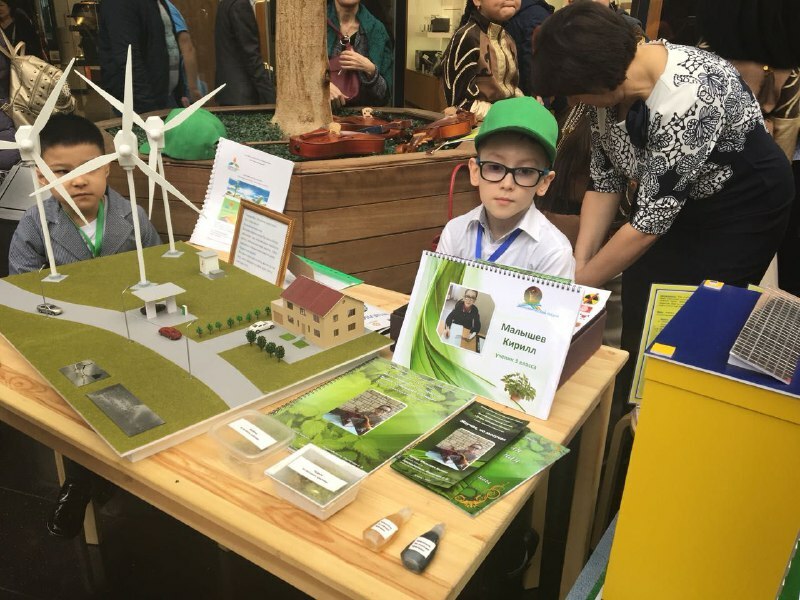 “We tried to explain the meaning of the sustainable city, how it is possible to live in an environmentally friendly city with electricity and water saving. It will be a good message to support the ideology of EXPO 2017,” said Deputy Chairman of the Foundation for Public Initiatives Development (FPID) Tatiana Nemtsan. The ROP Operator Company installed a photo stand to demonstrate the advantages of garbage sorting, and children were told how dangerous it is to allow plastic to fall into the ocean. “If we want to have a clean environment, we need to pay attention to the education of our children. This generation will take heritage from us,” noted Chair of the FPID Yerlan Buzurbayev, one of the festival’s organisers, along with the UNDP. The ROP Operator Company and FPID are working on a project to provide special containers for separate waste collection in Astana schools. The project is already established in one school and will be introduced in all schools of the capital. “The processing volumes in Kazakhstan are very small. One of the reasons is the lack of waste sorting. The population is not prepared for this activity and we don’t have the infrastructure for separate waste collection,” he concluded. The UNDP and the FPID are eventually going to involve 30,000 children throughout Kazakhstan in the project. Head of the Sustainable Development Department of the UNDP office in Kazakhstan Ramazan Zhampiisov said the festival will spread to 16 cities to promote smart technologies, energy efficiency, water supply and separate garbage collection. 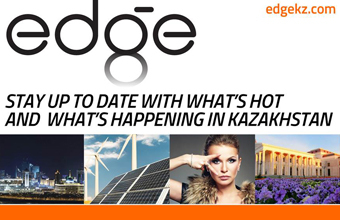 The main idea of the festival is to successfully implement green and smart technologies in Kazakhstan’s cities. The first Astana! Brighter Together! no-waste eco-festival, held Jan. 27, explored the creative potential of children, and its classes helped children discover their creative or technical aptitudes.